Superior Restoration has developed a system over the years that can remove smoke damage from items that we thought to be permanently damaged. We also provide full service construction to get your home back to it’s original condition, or even better! Our technicians have been trained to properly contain smoke damage in a residential or commercial building, and then remove the smell or odor from the materials using the latest technology. 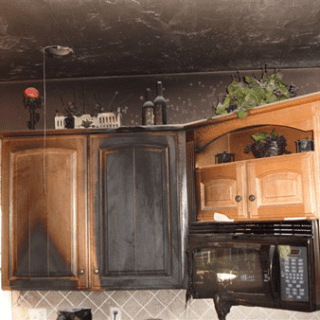 Smoke Damage Restoration is a faily new field, but we have been specializing in it for years. How do we remove the odor? We have invested in the latest technology to remove smoke odors from hard materials and soft materials. We are able to do this with a special solution and smoke chamber. Superior Restoration is the leader in Fire Restoration services in Southern California. Over the years we have become a leader by investing in high tech restoration equipment specifically designed for fire damage. We are able to restore your home or business back to it’s original condition even though you have had what seems like permanent damage. We are also able to restore your “soft contents” to their pre-loss state. We have less than 1 hour response times when we are called out to a fire damage. As a IICRC certified firm, we make sure to provide customers with the highest level of superior and quality service for Fire Damage Restoration. Does your home have fire damage? We are able to work directly with your insurance to clear up the fire damage and restore everything back to it’s pre-loss state. We are fire damage experts and we can help you get things back in order.